You can download Trends and Advances in Veterinary Genetics by Vijay Kumar free in pdf format. This book provides a concise introduction and details to the aspects of genetics relevant to animal science and production. 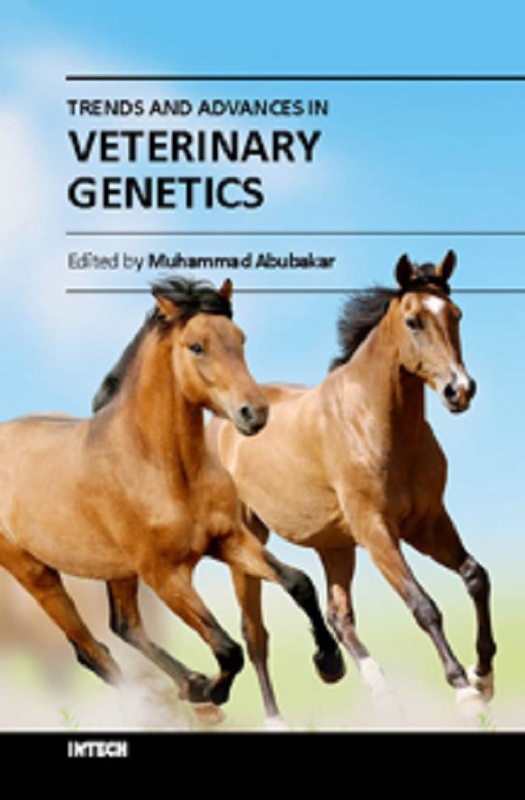 This volume covers the introductory level of topics which are ideal for veterinary students, classroom use, and practitioners who require more guidance with genetics. It is very important to understand the recent advances and basic concepts of veterinary genetics to explore the possibilities for control of diseases in animals. They are also significant for enhancing animal production and reproduction. The book coverage includes the following main sections: Biotechnology and Reproductive Genetics, Advances in Embryonic Genetics, Conservation and Basic Genetics, and Veterinary Genetics and Future. Each book section comprises two chapters from renowned experts from the area and gives readers a unique opportunity to explore the topic.